Over industry objections, the California Department of Pesticide Regulation (DPR) is continuing its effort to create new regulations for the use of agricultural pesticides near school sites and licensed child day care facilities. A recently published revision included changes made due to input received during public review. This revision did not go far enough to satisfy objections. After reviewing the published changes, California Citrus Mutual (CCM) joined a broad coalition of ag associations to voice strong opposition to the new rules. “They are solving a problem that doesn’t exist,” CCM President Joel Nelsen said. “DPR themselves can tell you there has never been an incident that isn’t already covered” by existing regulations. “There is no justification for this.” The proposed revisions virtually eliminate the application of pesticides within 1 quarter mile of a school, Monday through Friday. “There is no scientific justification for the quarter-mile buffer zone,” Nelsen said. DPR thinks the regulations create an extra level of protection. According to the DPR, the proposed regulation will affect about 3,500 public K-12 schools and licensed child day care facilities and involve approximately 2,500 growers in California. 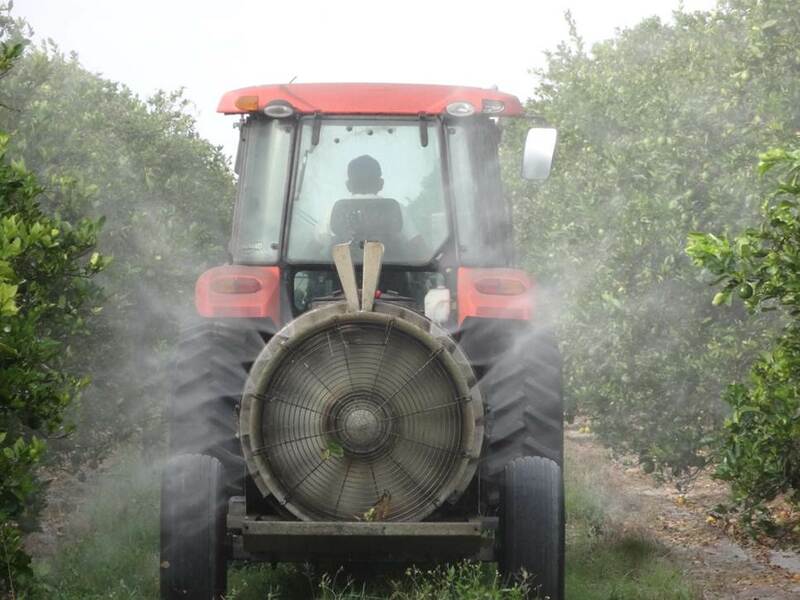 While many counties in California currently have varying requirements for notification of certain pesticide applications near schools, the agency maintains that the proposed regulation would be the first statewide standard. The agency states the new rules would prohibit pesticide applications within a quarter mile of schools and day care facilities Monday through Friday between 6 a.m. and 5 p.m. These include all applications by aircraft, sprinklers, air-blast sprayers, and all fumigant applications. Most dust and powder pesticide applications, such as sulfur, would also be prohibited. The rules also contain additional reporting and record keeping requirements. California growers would be required to annually notify schools and day cares, as well as their county agricultural commissioner, about any pesticides expected to be used within a quarter mile of the school. According to a news release issued by CCM, DPR’s modifications to its proposed regulations failed to correct core deficiencies and did not adhere to requirements of the California Administrative Procedure Act. The release also states the proposal “Violates the ‘necessity’ provision of Government Code section 11349 by failing to demonstrate by substantial evidence the need for the proposed regulations.” It also creates an unfunded mandate on local government. It does not provide a funding source for county agricultural commissioners who will incur increased administrative costs.